it never ceases to amaze us at just how many different varieties of nuptials there are. We feel incredibly honored to have a small sliver in a plethora of celebrations, and amongst the list is destination weddings : be. still. our. hearts. when Sasha came to us earlier this year describing her needs and fairly short timeline, we knew we had to dive deeper into her story. very quickly we learned that this was a love story unlike the ordinary, though we could have never imagined it to be as touching and as poignant as it is. truly, we never tire of hearing about our couples and the fabric in which their relationship is woven with. 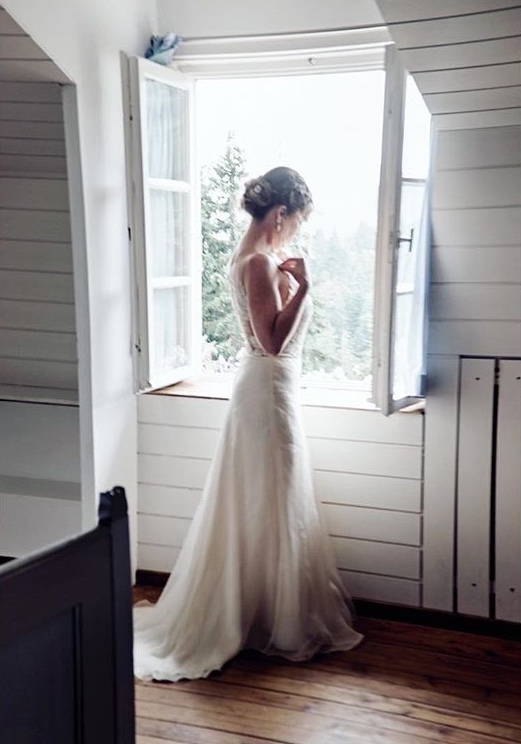 once we learned more about just how far the dress would travel, as well as the terrain on which it would be worn, we knew immediately that it would a perfect fit. as you will hear from sasha herself, our pieces are meant to ROam; a linyage lady needs to move, feel like herself, not be concerned with a pristine condition. With the organza skirt that gets better over time like leather that’s been patinated, and a lace bodysuit that is as effortless as it is intricate, it was set. 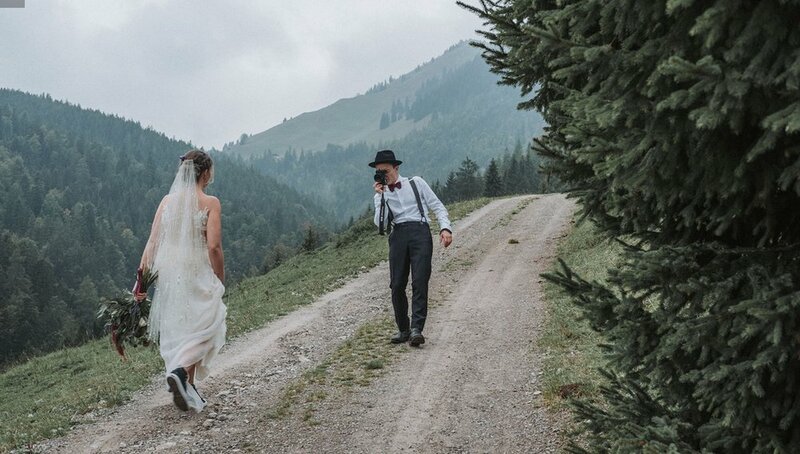 our bride was ready to head for the hills and say I do. q) First things first, give us the cliff notes of your love story. It is so clear that what you and your partner have is something for the storybooks. Moritz and I met working as volunteer staff at a retreat center in Northern California. He was pretty quick to let me know that he had feelings developing for me, and wanted to share that. We had a very fast dive into the first part of our relationship, but he had to return to London where he was living at the time. And I remained in my home, of Northern California. We started talking on the phone for long hours, and he said to me one day, I just love you completely, I don't need anything in return, even if you are never ready to love me too, I love you no matter what. I'm a woman who lives with a very open heart but even this offer scared me at first. When talking it over with a dear friend of mine, she said, you really can't help who you love or the circumstances, don't let anything keep you back from sharing the most honest part of your heart with him. Anyone who loves you will respect that truth. He continued to visit me for the next year, until last January when he asked me to marry him. He's a photographer so he posed it as a photoshoot, and then he jumped in the frame with a remote control and got down on one knee. Our biggest desire is for our relationship is to be as honest and real as we can with each other, and to share our whole selves and support each other in growing into who we truly are as we both change over time. In our wedding we included Shadow vows. 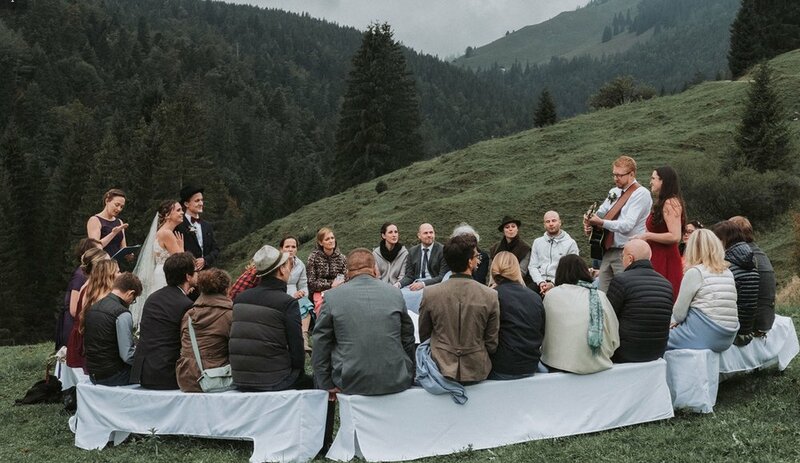 We shared aloud all the things you might not normally acknowledge in a wedding- like promises to get angry and yell when we feel it, promises to support our own purposes selfishly, and to follow the truth of our own hearts, not sparing each other discomfort. I took this part quite seriously, but as our friends and family surrounded us and echoed back laughter, I knew there was relief in acknowledging our humanness in front of our community and family. 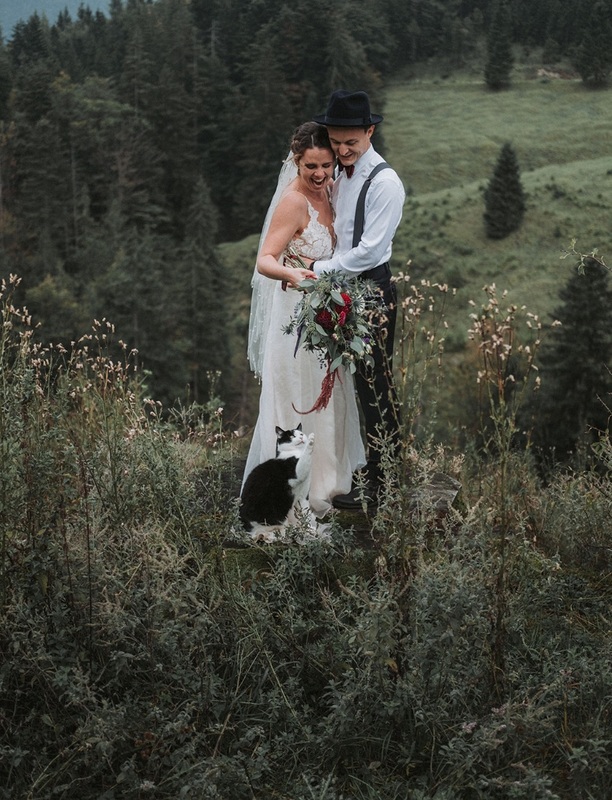 q) Your wedding took place amongst the rolling hills of Germany and could not have looked more picturesque-- tell us why you chose to tie the knot there. 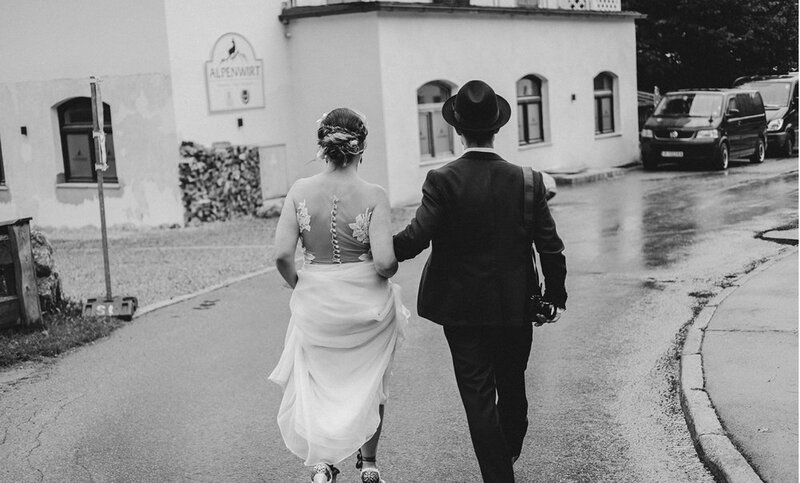 We got married in a little town in the alps, on the border of Germany and Austria, called Bayrischzell. It is kind of funny because it was one of the first places he emailed, and I was like NO WAY, no way the first place is the one that works. The venue was a cabin that was a big hike about 30 minutes straight up a mountain, and I actually didn't even see it until just 3 weeks before our wedding. So much of the process was about letting go of expectation and just allowing things to brilliantly come together. 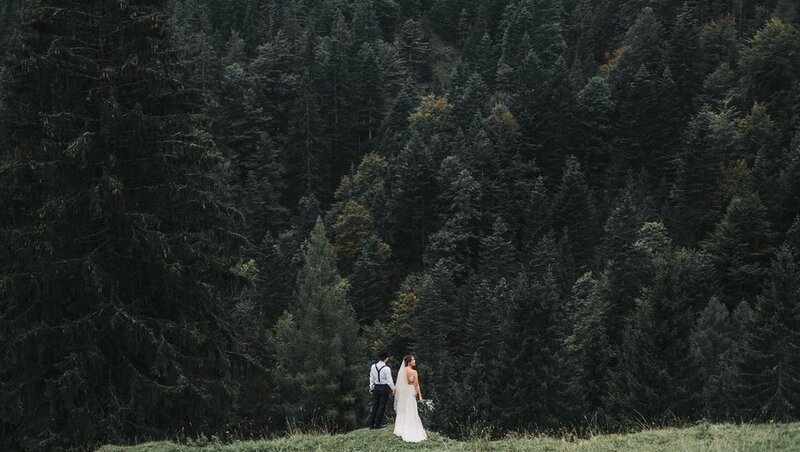 We both have a deep love of nature and we knew the mountains and forest would match our relationship, not an easy path but completely worth it. q) With traveling across the world in mind, what was most important to you about your wedding dress? I actually never really thought about that plane ride while dress shopping which is hilarious, because it could have been so challenging, I ended up carrying the dress loosley rolled in a backpacking backpack so that the skirt could flow and not get pressed and squished in a suitcase, I ended up having to take it out when i changed planes in London because I was only allowed one carry on and I had to repack everything I had in order to get on the next flight. But the dress was small and so easy pack carefully, that was a lucky thing for me. Overall I really wanted to feel like me in my dress, and I had a really really hard time deciding, until I found the linyage ladies, I had tried on SO many dresses, I'm embarrassed to say how many I tried on. But nothing really felt like me, and fit my budget. q) How did you feel yours worked with you amidst the elements of nature, travel, and so on? Nature! Oh nature gave us a good run for our money. Fall in Germany can be RAINY, like many other places, and a week before the wedding we day there where Thunderstorms on the forecast. Naturally I panicked! We had people checking the weather daily, and Moritz's sister bought us a beautiful oversized white umbrella. Ultimately we really had weather that honored us, (one of my best friend's words) and the dress was perfect. q) One of your top favorite memories from the day : go! 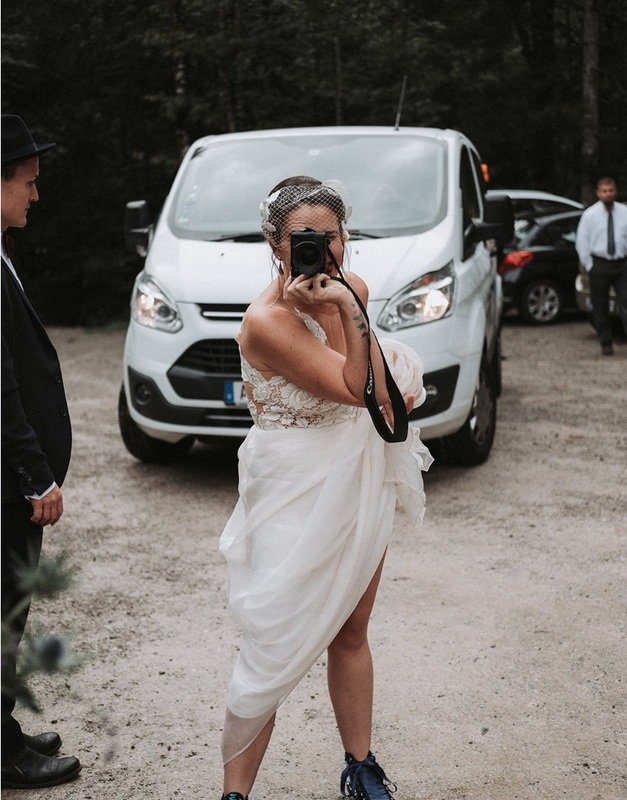 I've always loved taking photos, since I was a little girl, and it was one of the things I was most excited for in imagining our wedding day. I also had joked ahead of time that I wanted a petting zoo at the wedding because I love animals. After the ceremony we were taking photos on the edge of the ridge overlooking the valley. Moritz, always the photographer, had his camera in hand too of course. 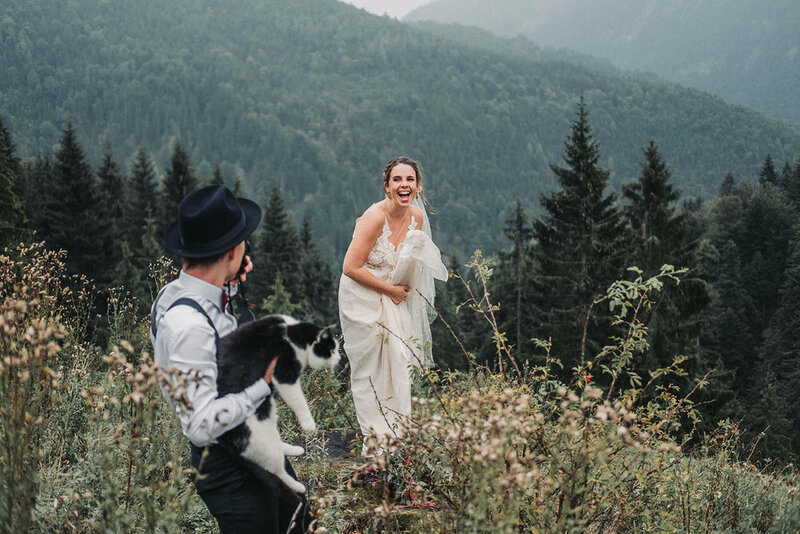 Once he jumped onto the stump I was standing on, for pictures together, this absolutely magical cat came and joined us, literally sitting on the train of my dress, as though it was scripted and then started to paw the bouquet. It was such a sweet and funny moment, that brought such joy to the day. q) Nugget of advice to any bride also embarking on a destination wedding? 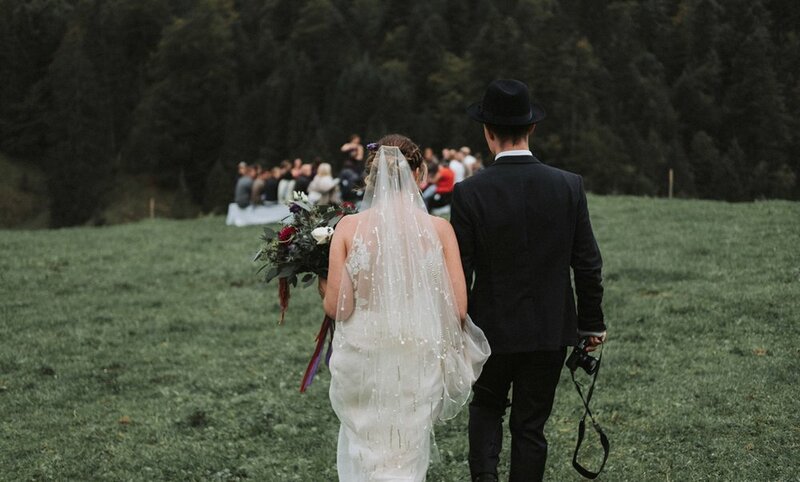 There is so much unknown to any wedding really, but my best moves were trusting that it would all work out, and letting other people handle things- even in the places I was most nervous. It was one of the most gratifying days I've ever had, not only because I got to marry this incredible man who loves me so much, but our desire was so lovingly reflected back to us by our amazing community, who showed us what is possible with letting all of their love in. Moritz says -to the men: support your woman in not holding back any part of their vision for the wedding. Watching Sasha allow herself to not hold anything back, I touched my own identity as a man, and a partner who knows the value of a woman being fully expressed. In that-I felt capability as a man to provide and meet her fully as she is. That in and of itself increased my self-esteem. I got there by letting in the help and the support of the men around me. from packing a carry on, to dealing with mother nature’s curveballs, we want our pieces to be able to pivot when you need to. 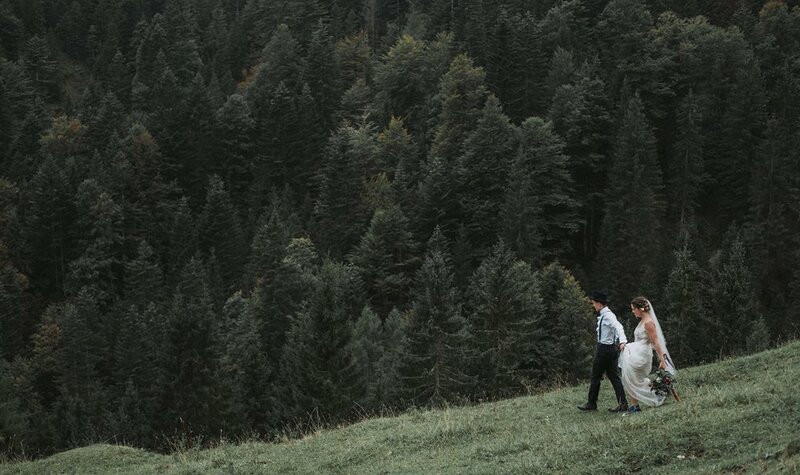 wherever your vows take you, linyage is ready to go.